The VigorAP 900 is the business-grade concurrent Dual Band Gigabit 802.11n Access Point. You can establish a stable and extendable wireless network. The dual band (2.4G/5G) allows essential applications to operate in the less interference environment. 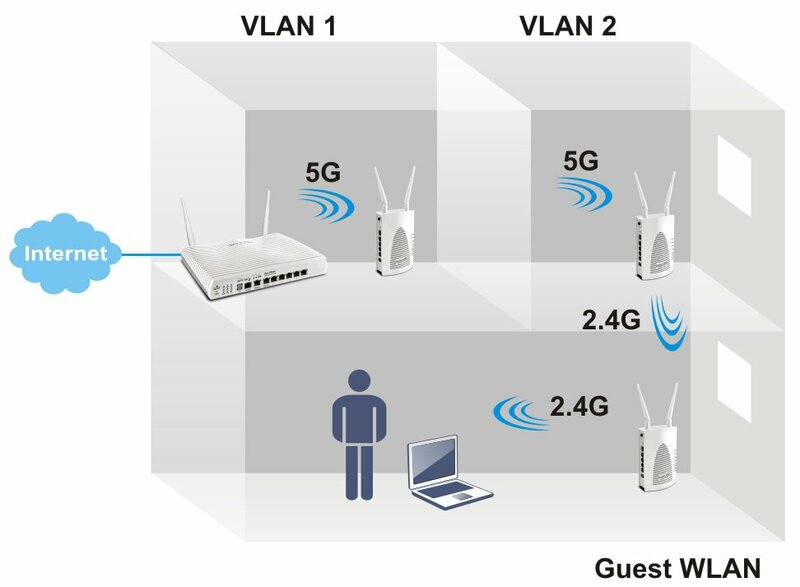 The MIMO technology offers the advance wireless network standard for the coverage, backward compatible with 802.11b/g. 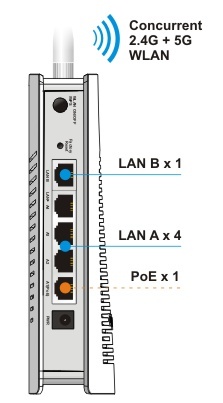 The Power over Ethernet (PoE) by LAN A1 port eases the installation no matter where the power plug is. 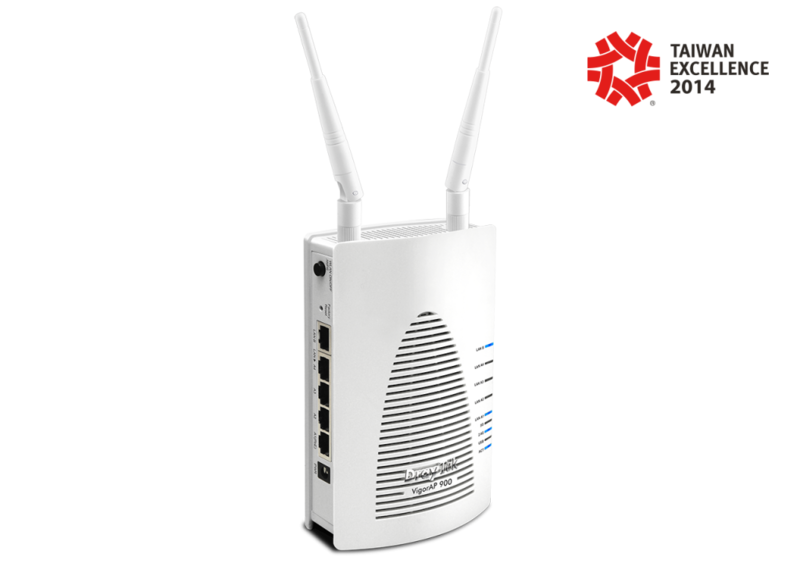 The robust management and simple configuration deliver reliable and secure wireless local area networks (WLANs). 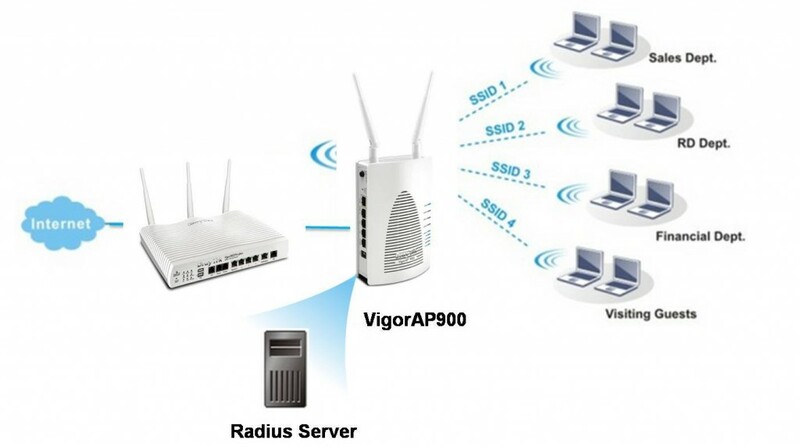 On the hand, the VigorAP 900 with 5 Gigabit LAN ports enhances the data transmission for wired connected devices as well. 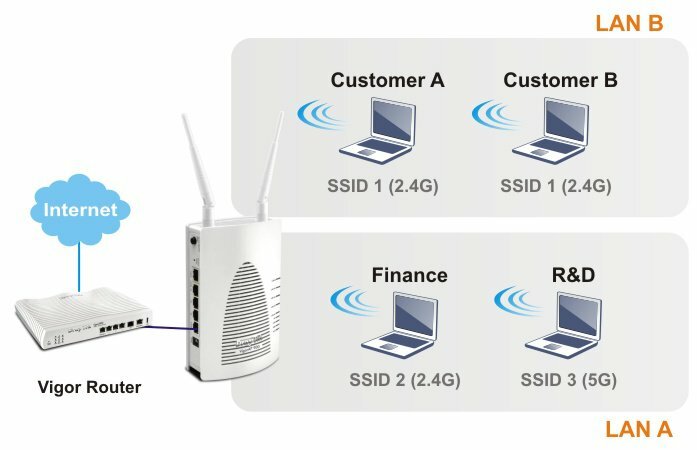 The Wireless Distribution System (WDS) takes care of the establishment of WLAN network with “point-to-point” and “point-to-multipoint”. These modes extend wireless access to additional clients where there is a relay AP repeats signal from a base AP to distant clients. The bridge-to-bridge mode allows two wired networks to be connected across some distance. The VigorAP900 can operate in standalone mode for your office network or a classroom or a waiting room of some transportation terminals (e.g. ferry terminal, bus station, train station) or a clinic’s waiting room ; connected to your LAN and offering you with wireless access. 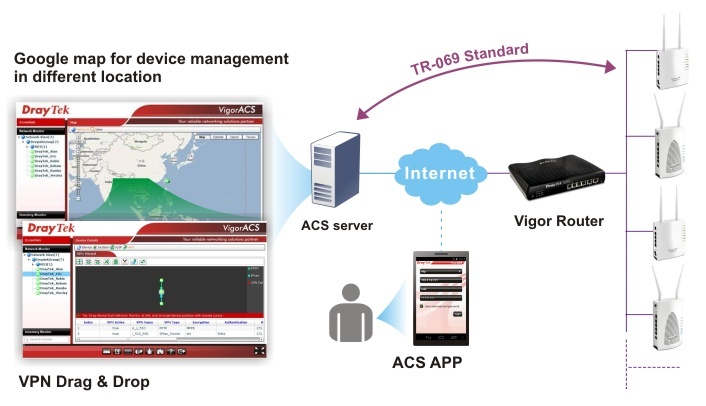 If your network requires several VigorAP900 units, to centrally manage and monitor them individually as a group will be expected. DrayTek central wireless management (AP Management) lets control, efficiency, monitoring and security of your company-wide wireless access easier be managed. Inside the web user interface, we call “central wireless management” as Central AP Management which supports mobility, client monitoring/reporting and load-balancing to multiple APs. 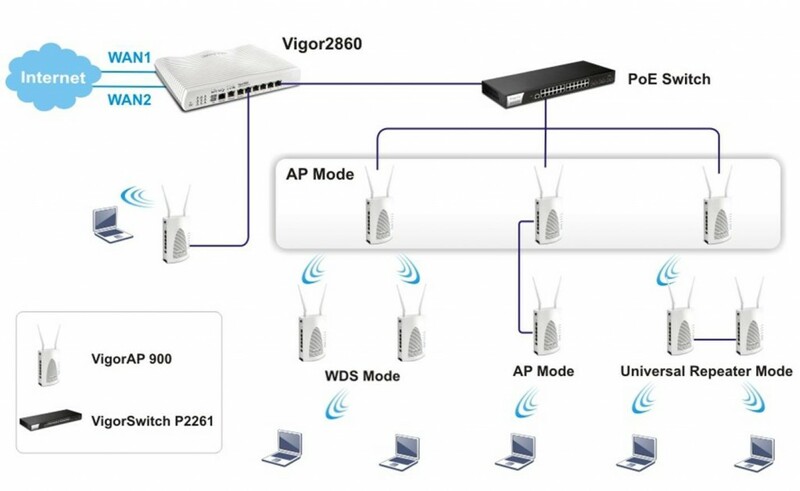 For central wireless management, you will need a Vigor2860 or Vigor2925 series router; there is no per-node licensing or subscription required. 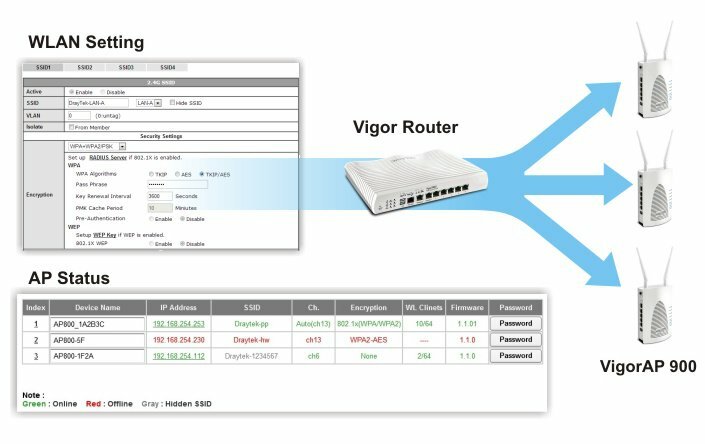 With the unified user interface of Vigor2860 Combo WAN series and Vigor2925 Triple WAN series, the multiple deployment of VigorAP900 can be clear at the first sight. For multiple wireless clients, to apply the AP Load Balancing to the multiple APs will manage wireless traffic with smooth flow and enhanced efficiency.